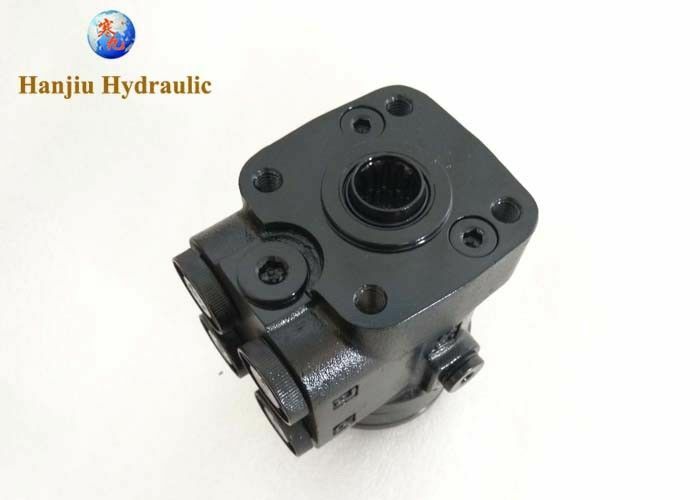 HANJIU 101Sseries hydraulic control unit is with relief valve ,suction valve, inlet check valve intergrated,and different valve can be assembled freely,compact ,more convenient ,fitting for European and American standards. 101s ON/OR for hydraulic systems where oil is supplied by a fixed-displacement pump. The range is wide and flexible, characterised by: • Low steering torque, 0.5 Nm to 1.8 Nm in normal steering situations • Low noise level and wide control range • One or several built-in valve functions: pressure relief, shock, suction, and/or nonreturn in pump connection • Port threads as required, to DIN, ISO, SAE or JIS standards. 101s is available in versions “Open Center Reaction” or “Open Center Non Reaction” (OR or ON) and with displacements from 40 to 500 cm3 /rev. OSPC is also available in a “Closed Center Non Reaction” (CN) type. CN steering units are for constant-pressure systems with variable pump flow. In neutral position, the CN unit shuts off oil flow between pump and tank. 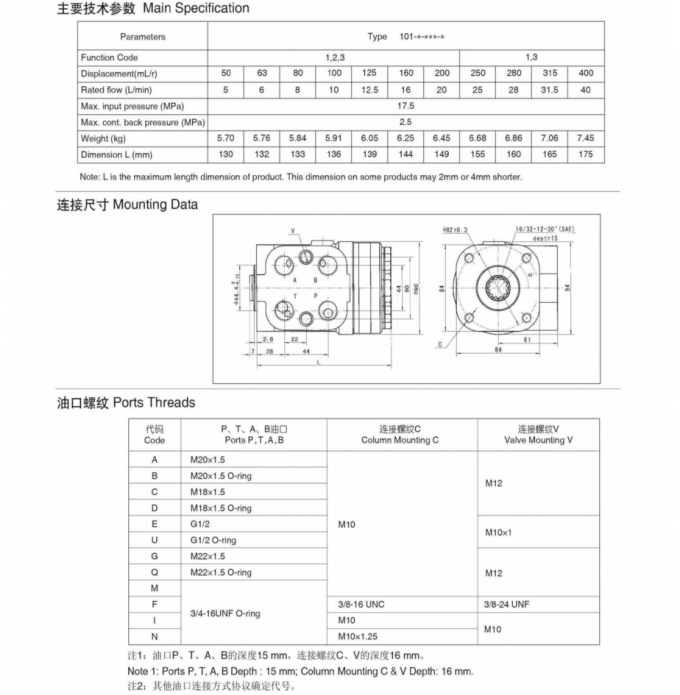 CN units are available with displacements from 50 to 400 cm3 /rev. 2. Change Danfoss, Eaton, M + S and other brands, the advantage is the price concessions, the quality is close. 3. Replacing tractors like John Deere, Claas, New Holland and other harvesters Orbital to OEM.